Registration for our popular Ask-a-Pro sessions is now open. Want to get first access to pro sessions? Make sure you register for the conference and reserve your consults before they’re all booked! Many conferences of all kinds allow attendees to sign up for brief consultations with event speakers and experts. The pros are there to answer attendee questions and give as much guidance as possible in a short amount of time. For the NFWC, we round up some top publishing industry experts including book editors, PR pros, marketing consultants and literary agents to offer complimentary consults to Gold and Platinum access attendees. These sessions are a HUGE HIT with our attendees and pros alike! Ask-a-Pro sessions last just 15-minutes and are conducted one-on-one between you and the pro—delivered via phone or Skype (the pro will call you during your scheduled time). This is not a sales pitch for either party. It’s an opportunity for NFWC attendees to ask questions and receive guidance from industry professionals. 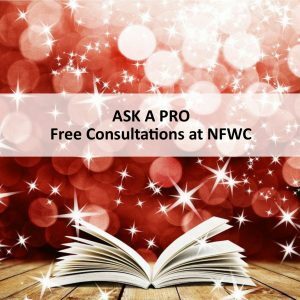 Ask-a-Pro is completely FREE for Gold, Platinum, and VIP NFWC attendees! Space is absolutely limited for our Ask-a-Pro sessions and they will fill up fast. Most of our consultants have just a handful of appointment times available. So, if there is someone in particular you really want to meet with, be sure to sign up right away. Once the sessions are full, registration for Ask-a-Pro will be closed. NFWC Gold and Platinum attendees can register for up to three Ask-a-Pro sessions. Some consults may happen concurrently during conference hours so plan accordingly. Gold, Platinum and VIP attendees receive instructions via email to reserve up to three consultation sessions with the pros. Make sure your register for the conference early since once the consulting sessions fill up, they’re gone for good! Tara Alemany, defies a simple definition. She is a multi-award winning author of seven books. 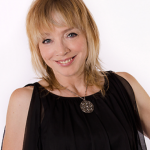 She is also a speaker, business consultant and publisher, as well as a serial entrepreneur. Although she’s started multiple businesses during her career, her favorite by far is Emerald Lake Books, which she co-owns with her best friend, Mark Gerber. 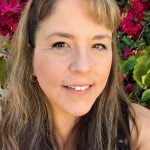 Using a unique goal-oriented approach to publishing, Tara combines her business and publishing knowledge to help her authors set and attain goals for their readers, their brands and their books. Tara’s latest book, Publish with Purpose (April 2019), reveals the unique process developed by Emerald Lake Books to help their authors set and attain their own goals. 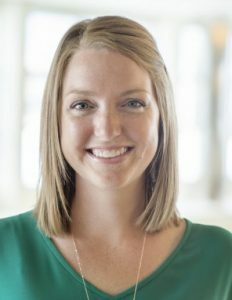 In addition to publishing, consulting, writing and speaking, Tara serves on the Board of Directors for a Christian writers’ critique group, acting as both president and chaplain of the group. In her spare time, she is a winemaker, a military Mom to 2 kids (one of each), step-Mom to 1 lovable mutt and is owned by a black cat. Since 2000, Peter Bowerman has been helping freelance writers and self-publishing authors separate the words “starving” and “writer,” and make a GOOD living from their words. 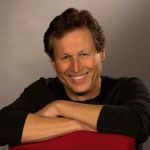 A veteran commercial copywriter, popular speaker and workshop leader, he is the self-published author of the three multiple-award-winning Well-Fed Writer titles (www.wellfedwriter.com), how-to “standards” on lucrative “commercial” freelance writing. He chronicled his self-publishing success (100,000 copies of his books/ebooks in print and a full-time living for 10+ years) in the 2007 release (and its 2014 update—both multiple-award-winners): The Well-Fed Self-Publisher: How to Turn One Book into a Full-Time Living. www.wellfedsp.com. Since 2002, he has been a coach for commercial-writing startup and self-publishing ventures. In 2010, he launched the Title Tailor, providing publishers and self-publishing authors with help in creating book titles and back-cover copy (www.titletailor.com). To maximize your 15-minute session with me, please visit http://www.wellfedsp.com/NFWC-Coach.html. Stephanie Chandler is the author of several books including The Nonfiction Book Marketing Plan: Online and Offline Promotion Strategies to Build Your Audience and Sell More Books and Own your Niche: Hype-Free Internet Marketing Tactics to Establish Authority in Your Field and Promote Your Service-Based Business. Stephanie is also founder and CEO of the Nonfiction Authors Association, a vibrant educational community for experienced and aspiring writers, and the Nonfiction Writers Conference, an annual event conducted entirely online. A frequent speaker at business events and on the radio, she has been featured in Entrepreneur, BusinessWeek, and Wired magazine. 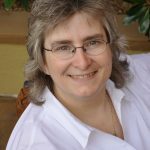 Melinda Copp, founder and executive editor of The Writer’s Sherpa, LLC, is a book ghostwriter and editorial consultant based in Bluffton, South Carolina. She specializes in helping aspiring authors get clear on the real story they were meant to tell, organizing their material in a powerful way, and then using the client’s ideas to write an engaging and compelling book that delivers their big message. Melinda has ghostwritten thirteen books on a wide range of topics, including memoir, self-help, and business. She has an MFA in creative writing from Goucher College and a BS in journalism from West Virginia University. Melinda also teaches writing workshops and provides one-on-one editorial consulting for aspiring nonfiction authors. Visit her online at www.writerssherpa.com. Stacy Ennis is a creative consultant and writer who helps people sort through their ideas to find clarity and direction. Corporate consulting, content strategy, individual coaching, authoring, ghostwriting—these are just a few of the routes she uses to help people shape ideas, content, and products before sending them out into the world. Her background includes serving as the long-time ghostwriter for a Nobel Prize winner and as executive editor of Sam’s Club’s Healthy Living Made Simple, a publication that reaches around 11 million readers. 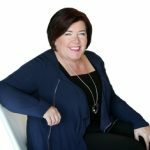 She is the cofounder of Next Level Women Leaders, a leadership platform training program, and a multi-published author, including coauthor of Growing Influence (forthcoming September 2018). Stacy is a TEDx speaker, world traveler, entrepreneur, runner, wife, and mom to two awesome kids. Learn more at stacyennis.com. 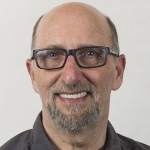 Joel Friedlander is an award-winning book designer, blogger, and writer. He speaks regularly at industry events and is the author of A Self-Publisher’s Companion and The Book Blueprint. 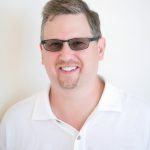 The blogger behind TheBookDesigner.com, Joel is a columnist for Publishers Weekly, and was named by Writer’s Digest as one of the 10 people to follow in book publishing. Joel also operates BookDesignTemplates.com, where he provides predesigned interior book templates for Word and InDesign, as well as pre-designed and custom book covers; AuthorToolkits.com, where authors find digital products to help in their marketing and business activities; and BookPlanner.com, the only project planning tool specifically designed for indie authors. Drew Gerber, “Nomad CEO” of Wasabi Publicity, is on a mission to change global conversations and challenge industry conventions. He lives to spark “aha” moments, helping people discover new ways of thinking to create positive change. Recognized by PR Week and Good Morning America for its innovative business practices, Wasabi Publicity helps clients expand their impact through top media. 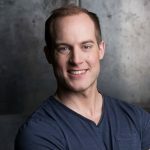 A member of Forbes Agency Council, Drew is author of “Destination Aha! Becoming Unstuck in Life and Business.” He lives in Budapest, Hungary, and Serbia, where he started an IT training center and employs locals as part of Wasabi’s international team. Charmaine Hammond, CSP, has been in the business of changing lives and raising dreams for more than 25 years through teaching the principles of collaboration, partnership, and sponsorship. As a Certified Speaking Professional (one of the 12% of speakers worldwide who hold this designation), bestselling author, and professional speaker, she has had tremendous success in finding corporate sponsors to fund her printing, graphic design, venues, travel, media, technology, hotels, even her pet food and dog poop bags! 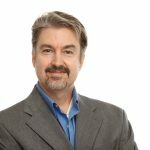 Brian Jud is the Executive Director of the Association of Publishers for Special Sales and President of Book Marketing Works. 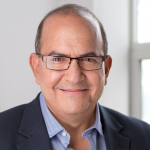 He has over 25 years of publishing experience as a speaker, book-marketing consultant, and the author of hundreds of articles and several books about selling books to non-bookstore buyers including How to Make Real Money Selling Books and Beyond the Bookstore. He also wrote five books on career transition that are distributed internationally. Brian was the host of the television series The Book Authority. Before entering the publishing industry, Brian was the Vice President of Marketing for a Fortune 250 company. Carla King is the founder of Self-Publishing Boot Camp, a series of educational books and workshops that help independent authors publish their books. She is a frequent speaker at writing conferences, a consultant, and industry advisor. In 2018, Self-Publishing Boot Camp will be offered as an online course along with the 4th edition of her Self-Publishing Boot Camp Guide for Authors. 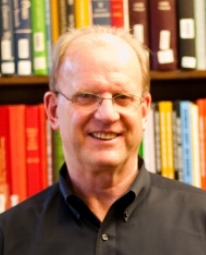 Mike Kowis is a corporate tax attorney, college instructor, speaker, and award-winning author. His nonfiction titles include an amusing college teaching guide entitled Engaging College Students: A Fun and Edgy Guide for Professors, a self-publishing guide for aspiring authors called 14 Steps to Self-Publishing a Book, and his latest book entitled Smart Marketing for Indie Authors: How I Sold my First 1,563 Books and Counting! that gives practical ideas on how authors can market their books. Mike earned a bachelor’s degree plus two law degrees and practices tax law in Texas. For more information, please visit www.mikekowis.com. 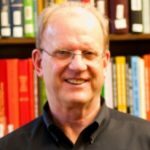 Mike Larsen is an author coach who loves helping writers achieve their literary and publishing goals. 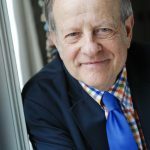 In 1972, He cofounded Michael Larsen-Elizabeth Pomada Literary Agents, which sold hundreds of books to more than a hundred publishers and imprints, before it stopped taking on new clients. He wrote How to Write a Book Proposal, which has sold more than 100,000 copies and is now in its fifth edition, co-authored by Jody Rein. Mike also wrote How to Get a Literary Agent and coauthored Guerrilla Marketing for Writers. His next book is Writing Success Guaranteed: How to Deal Yourself Five Hearts to Win the Writing Game. 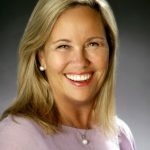 Ally Machate is a bestselling author and expert publishing consultant who loves using her insider knowledge of the book industry and wealth of experience to lead serious authors toward success. 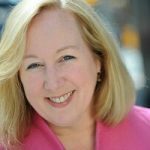 Leveraging a background in “Big Five” publishing, she and her team live to help make great books happen, whether that means showing a writer how to improve a manuscript, get an agent, or self-publish; coaching an entrepreneur through writing a biz-boosting book; or consulting with an author to sell more books. Since 1999, she has supported authors on their publishing journey and takes pride in serving as their books’ best ally. 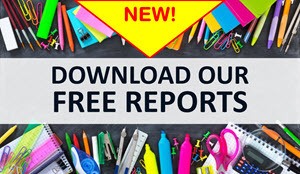 Get free gifts and learn more at www.thewritersally.com and www.allymachate.com. Ally Nathaniel is a #1 bestselling author. She sold over 40,000 copies of her first book and topped Amazon for 16 weeks straight. Ally was also invited by Amazon to be a panelist and lead their social media campaign “Lunch with Authors.” Ally helps spiritual women become leaders in their field by publishing a book that generates income. 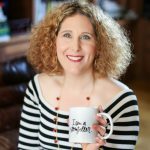 She delivers high-impact motivational and transformational techniques to help authors overcome held-back patterns, write a book, and make an impact. In 2000 Julie Schoerke founded JKS Communications, a book marketing and publicity firm. The firm with offices in Nashville, New Orleans and New York, has represented more than 1,200 book and more than 700 authors in all 50 US states and seven foreign countries. From New York Times and USA Today bestselling authors to debut authors and books in every fiction and non-fiction genre. The JKS team of (mainly) former journalists reach on average an audience of 3 million for fiction and 10 million for non-fiction authors through media placement. She is a frequent speaker around the country. 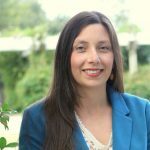 She has served on the faculty for programs and retreats at the University of Chicago, Sarah Lawrence College MFA program, from Virginia, Arizona, and Mississippi to the Poconos. She is committed to helping the industry become more transparent and accessible to authors and small publishers. Bestselling author Marcia Layton Turner has authored, co-authored, or ghostwritten more than 50 nonfiction books, mainly about business. She works primarily with entrepreneurs, CEOs, and subject-matter experts to craft books that promote their companies or generate new business. 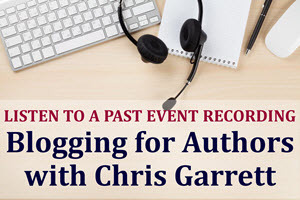 She frequently helps clients choose from among their many publishing options and brainstorm how to position themselves as experts before their book is released. As the founder and executive director of the Association of Ghostwriters, she helps aspiring and experienced ghostwriters build their businesses and land more work. Kathy Meis is founder and CEO of Bublish, the world’s first complete publishing platform with built-in marketing. 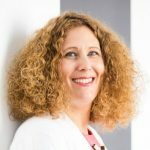 She is an entrepreneur, writer and editor with more than twenty-five years of experience in the media and publishing industry. She has worked for such iconic editorial brands as CBS and Forbes. 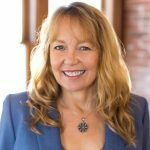 Kathy was a founding partner of PubSmart, an author-centric publishing conference held in Charleston, South Carolina and is a sought-after expert speaker on self-publishing, book marketing and disruption in the publishing industry. She has spoken at Book Expo America, Women in Media, GrubSteet, PubSmart, AuthorYOU, Women in Publishing Summit, the San Francisco Writers Conference, Publishing at Sea and IndieRecon, among others. Tell your friends about the Nonfiction Writers Conference! Want an idea of what to expect at NFWC? Listen to this popular recording from a previous NFWC event! The Blogging for Authors session by Chris Garrett. The Nonfiction Authors Association hosts FREE weekly educational teleseminar events. 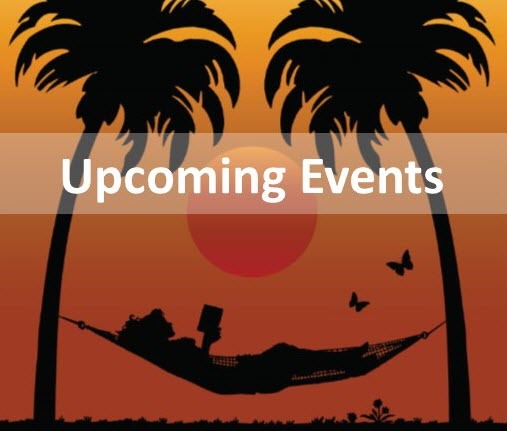 See our upcoming event schedule here. The Nonfiction Writers Conference was featured in an article in the November 2017 issue of The Writer magazine! The Nonfiction Authors Association is the sister organization of the Nonfiction Writers Conference and a vibrant community for experienced and aspiring writers! 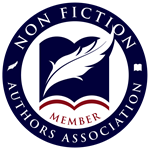 Become a member: NonfictionAuthorsAssociation.com. © 2019 Nonfiction Writers Conference.